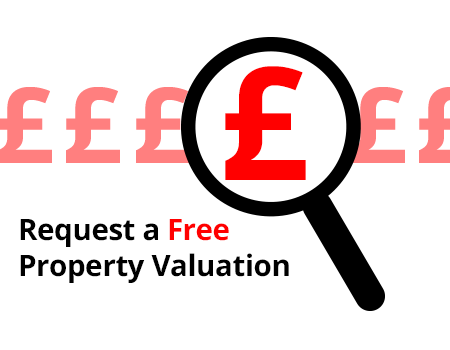 The first step to selling your property is obtaining an accurate valuation. Berridge has extensive local knowledge and is open for business 6 days a week from 9am – 6pm Monday to Friday and 9am – 5pm on Saturdays, your dedicated Estate Agent will accompany all viewings during opening hours, and on occasion we are able to offer longer opening hours to maximise viewing potential. You need to appoint a solicitor or conveyancer who will do the legal work involved in the sale. We can offer reccomendations if required. First impressions count. Make sure your home looks its best for any viewings. Tidy any mess and clear unwanted clutter to maximise space. If time permits, you may want to carry out the odd DIY job to try and make your property as attractive as possible. Berridge is located on one of the busiest roads in Leighton Buzzard with one of the largest LED property pocket window display providing the maximum advertising potential for your property. Furthermore, your property will appear on all major property portals including Zoopla and the largest Rightmove.co.uk together with BerridgeLB.com, and to our extensive database of tenants. A member of the Berridge team will accompany all viewings and provide you with feedback. Berridge is open for business 6 days a week from 9am – 6pm Monday to Friday and 9am – 5pm on Saturdays, your dedicated Estate Agent will accompany all viewings during opening hours, and on occasion we are able to offer longer opening hours to maximise viewing potential. The estate agent will get in touch with you when an offer has been made on your property – we will tell you about every offer that is made, regardless of whether you are likely to accept it. Your estate agent will advise you whether it is a good offer, but the final decision is up to you. When you are happy with an offer you can accept it “subject to survey and contract”. Your estate agent will then write to you, the buyer and both sets of solicitors to confirm the property sale, and request that the solicitors draw up a draft contract. At this point, you do not legally have to take the property off the market, but your buyer may ask you to do so. Exchange of contracts is a critical stage in the house selling process, by this stage all enquiries have been confirmed and agreed and the parties become legally bound to complete the purchase. Once the contract has been signed by both parties the deposit will be telegraphically transferred or paid in the form of a banker's draft from the buyer’s solicitor to the seller's solicitor’s account. The agreed completion date is mutually agreed and written in the contract. On completion day, the buyer’s solicitor will arrange for the money to be transferred to your solicitor’s account. The keys will then be released once the money has cleared.